This book is sprawling, convoluted, vulgar, and violent — and engaging for most of it’s 1,000-plus pages. What made it most interesting to me is its point of view (or ultimate lack thereof) with regard to the cultures clashing throughout the story. Set in feudal Japan in the 1600s, the novel gives us an arrogant, foul-mouthed, and cunning English Protestant protagonist; surrounds him with a narrow-minded and ever fouler-mouthed Dutch Protestant crew; and strands them in a strict (and mostly Shinto/anti-Christian) samurai culture that is deeply enmeshed in trade with the Catholic Portuguese and rushing headlong toward civil war. Initially, it is a very anti-Catholic read; although the Protestant characters are not particularly virtuous or sympathetic characters, the initial perspective is theirs, and their biases shine through. The British pilot is removed from the group because various samurai see value in his knowledge and his ability to antagonize the Catholics by his very existence in Japan. Gradually he gains favor, and ultimately influence, among the samurai, and becomes conflicted as he begins to see value in their way of life (and of course, falls in love with a well-known samurai woman who has converted to Catholicism). That’s the gist…but lest you think this is Last Samurai or “Dances With Blue-Man Group” rehash, understand that A) Shogun came first, and B) no one group emerges as the noble savage. All are savage, and ultimately, the only group shown without nobility is the Dutch Protestant crew. (Clavell shows does a tremendous job writing in multiple languages and using “dialects” (written in English) and curses or other interjections to distinguish between Portuguese, Latin, “gutter Dutch,” and Japanese.) The hero never goes completely samurai, never loses his English-Protestant bias against priests and the papacy, and is always “in it for the money”—but he comes to love at least one Catholic convert, respects at least one priest, and has his life saved by another priest. He is a married father of two in England, and as such, is an adulterer; he equally enjoys Japanese views on sexuality and is horrified by them because so much is permitted in the name of pleasure. He enjoys the order, the cleanliness, the beauty of Japanese living, but not the brutality and bigotry that enforce it. Love and life here are regarded as meaningless, replaced by duty and death — as he is immersed in this culture, he begins to use it to his advantage, but it also begins to re-shape him. Beneath this story is a violent political thriller that uncoils slowly only, to be completely understood at the very end — and perhaps not even then. According to Clavell, in a small crowded country with paper walls, politeness is paramount; everything is planned (and counter-planned, and counter-counter-planned); everyone hears and everyone knows, but no one speaks until it is to their devastating advantage. The result is a fascinating book that seems overlong at times, but not monotonous. 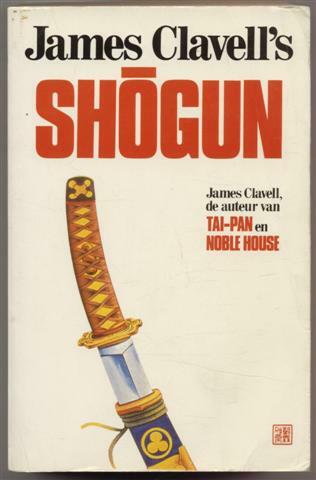 He wrote six novels in what came to be known as his Asian Saga; Shogun was the third written, but is set the earliest in history. Rumor has it he had other Asian novels planned at the time of his death, and I have no doubt there’s a great book to be written exactly where this one leaves off.